Scot Paul di Resta finished 11th for Force India. It was a disappointing end to the grand prix for Button, who had qualified behind Vettel in second place, but who lost position to his team-mate before Webber zoned in on him at the end. Button had lost the lead to Vettel when the pair made their first pit stops at the same time only for Button to stop first at the Red Bull garage. 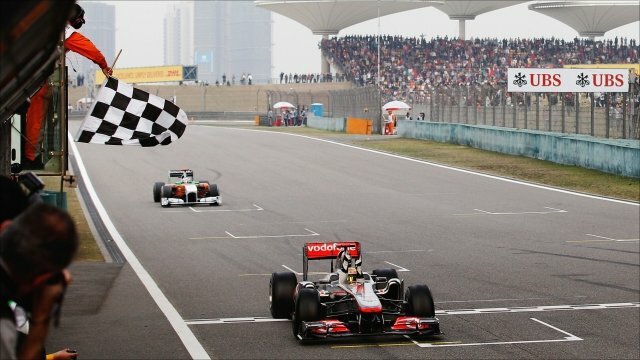 The mix-up meant Vettel returned to the track ahead of Button. 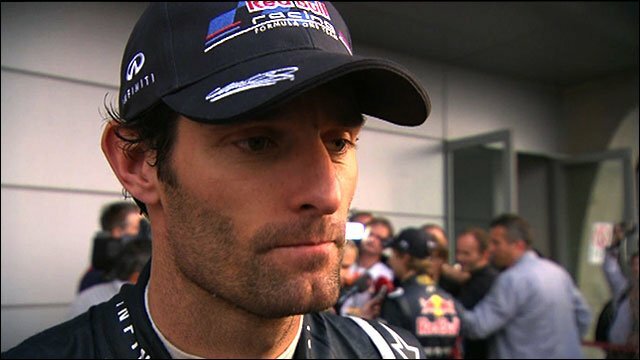 "It was absolutely bizarre," said BBC pit-lane reporter Ted Kravitz. "The McLaren mechanics didn't know what to make of it. He lost at least three seconds there." 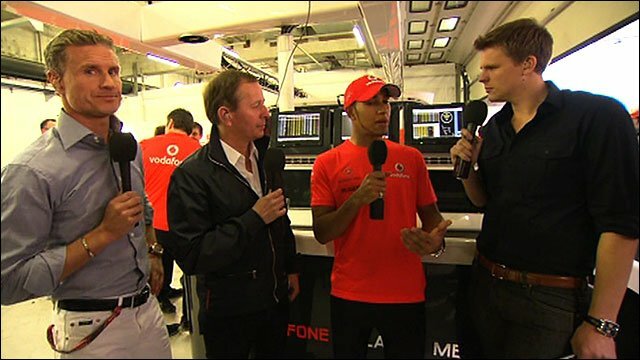 Button said: "First of all massive congratulations to Lewis. It was a great race to be part of but I wasn't quick enough. "Fourth place was as good as I could get out of the car. You're a sitting duck when people have got newer tyres. "It was a tough afternoon for me and for some reason I didn't have the pace." Rosberg chalked up a best finish of the season for the improving Mercedes with fifth place but it could have been better had he not let Button and Massa past in the closing stages. Ferrari's toils continued as a two-stop strategy scuppered Massa's podium hopes as he lost ground over the last stint on the hard tyres and finished sixth. The Brazilian will at least take a fillip from finishing ahead of his team-mate Fernando Alonso, who lost ground to Massa at the start and appeared to have problems with his rear wing. Alonso finished seventh and rued a lack of race pace for another troublesome weekend. "It was a tactical race," said Alonso. "With this year's tyres in some part of the race you feel competitive, you feel good. "In other parts of the race you feel very slow because people on different strategies can overtake you without any real problems. "When you have a quick car any strategy is good as we saw with Vettel. When you have a slow car you have to get the right one." Michael Schumacher had to pull out some defensive moves to hang on to eighth place ahead of Vitaly Petrov's Renault. Kamui Kobayashi picked up the last point for Sauber to deny Di Resta, who went backwards from eighth on the grid as he struggled for grip with his rear tyres. There was an encouraging day for Team Lotus who were satisfied to beat two midfield teams for the first time as Heikki Kovalainen finished ahead of Sergio Perez's Sauber and the Williams of Pastor Maldonado to claim 16th. "It's not the highest place we've had but we beat two midfield cars in a straight fight so I am very happy," added Kovalainen.